I’ve had more than a few conversations recently with startup and young technology companies — and with folks like me who try to get them to do marketing well — where the objection to hiring my services or those of other seasoned marketing strategists seems to come down to a question of affordability. It’s true, the services of an experienced technology marketing pro with a healthy track record under her or his belt do not come cheaply. But here’s the thing: Most of these companies are already spending considerable sums on marketing; they’re just spending them in a random and uncoordinated way with no coherent planning and no idea if they’re working or not. The only thing worse than not investing in marketing is investing in the wrong marketing. “Wrong marketing” is defined as much more than doing the wrong things. It might as well be doing the right things but in the wrong way. Or doing too much of something that’s not really working well and not enough of something that will gain you real traction. Or doing well only some of the activities that are actually required to move your prospect from discovery all the way through to a sale. A company with which I’ve had several short conversations over the past year or so reached out to suggest they were finally ready to engage. Turned out, they just wanted help implementing a single tactic. Fair enough, the conversation focused on that tactic. It quickly became clear, however, that they had no idea what they really wanted to do in that area, that they had no budget established for the activity, and that they hadn’t even decided which of several implementation options was best for them. In short, they were conducting random acts of marketing with little or no planning, forethought or strategic underpinning. Even if what they were planning was the right thing for them to do at this stage, how would they ever know? When I challenged them on this lack of a strategic approach and suggested I could help them develop a strategy, they pleaded poverty, notwithstanding that the tactic on which they approached me was just one of several things they were already doing in marketing, none of them without real costs in both personnel time and external spending. And oh yes — they also revealed that customer traction, lead generation and product sales were lagging well behind forecasts. In short, their marketing wasn’t working. Or maybe they have the wrong product. Or maybe they’re addressing the wrong industry vertical, or the wrong size of company or any one of a bunch of other things. They just don’t know. And not knowing will kill the company. The sad part is that it doesn’t have to be this way. Building a marketing strategy is not rocket science but it does take a certain level of experience and understanding along with a proper investigation of the company, its offering and the marketplace into which it is going to sell that offering. Yes, it costs money to do this properly, but it’s the only way you can be certain that the far greater sums you are already spending on marketing are all being spent on the right things. 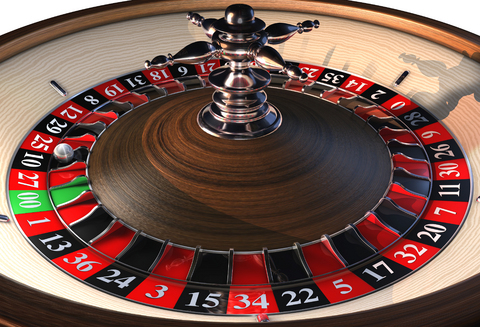 A startup doing a bunch of marketing things without a proper and measurable strategy is about as likely to succeed as a gambler who heads to Vegas with a sure-fire system for beating the roulette wheel. Both might end up big winners, but I wouldn’t stake either of them.